grape jelly with some shimmer. a basic colour that can be used on its own! 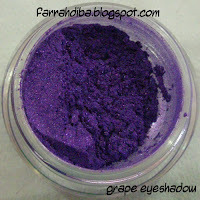 another colour that i've seen packaged in TKB's make-your-own-eyeshadow kit.